Fashion in Dubai is a reflection of many cultures with a wonderful array of style. 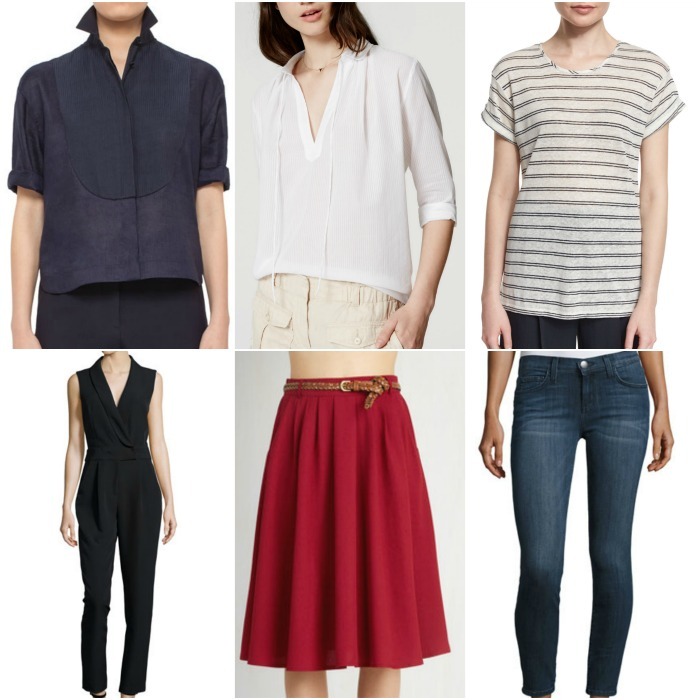 Find out what to wear in Dubai from an expat who’s been living there for almost twenty years! Being a conservative country, everyone is advised (and regularly reminded) to dress modestly and respectfully in public places. When creating your Dubai packing list, make sure to choose skirts that reach the knee and tops with shoulder coverage and no cleavage. Resortwear, bathing suits, and short or sleeveless summer clothing is acceptable as long as long as you wear them within the grounds of your resort. Once you’re outside of the resort property it’s best to wear modest attire. Local women wear head scarves, long skirts or trousers, and long sleeves, while nationals from the Gulf region wear an abaya; these are made from a black, silky material with different embellishments. Gorgeous designer handbags and shoes are common along with a fashion sense to match, so feel free to add yours to your Dubai packing list. Tip: The key to packing light is to create a capsule travel wardrobe which can easily fit into a carryon suitcase with the help of packing cubes to compress your clothing! November to April varies from warm to cool weather. These are the ideal months to be outdoors, walking, swimming, doing water sports, golfing, sightseeing, etc. Summer clothes are ideal for your Dubai packing list, but bring along a cardigan, jacket, and pashmina for the cooler evenings. Jeans, trousers, jackets, and boots are worn gladly at this time of year, as it is nice to have a change of wardrobe. Whatever the time of year, at night the temperature drops by 10°C/18°F! So 25°C/77°F during the day in winter will drop to 15°C/59°F, and 45°C/113°F in summer to 35°C/95°F. The summer temperatures during May to October are a sizzling 30°C/86°F to 47°C/117°F during the day! It is not just the heat but the high humidity that makes it unbearable. Very cool, loose, summer clothes are the best items for your Dubai packing list, as the humidity can make clothes feel tight and uncomfortable. 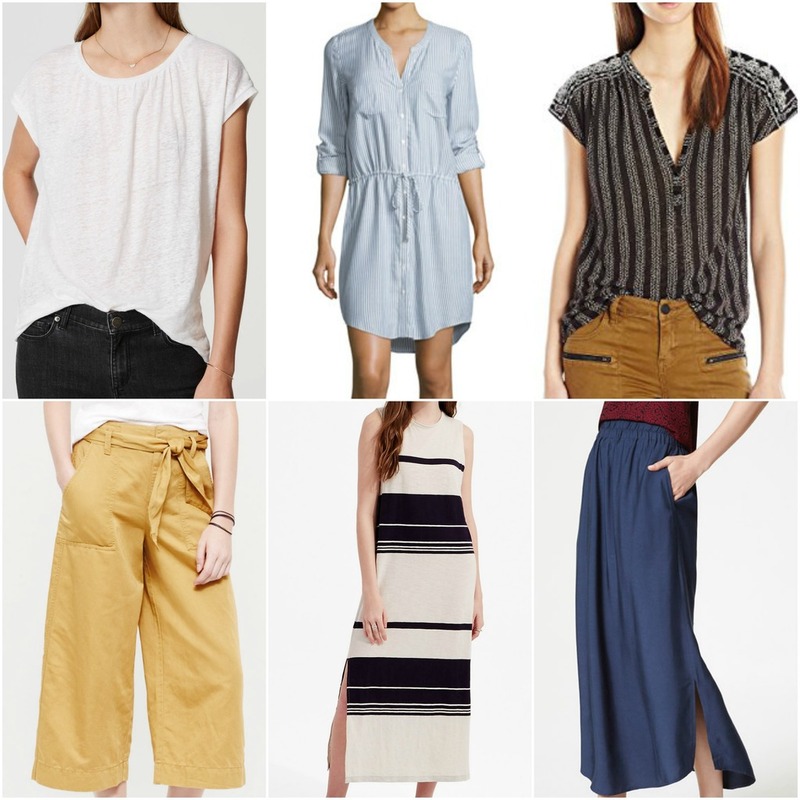 Cotton, linen, and silk are best. Bear in mind that anywhere indoors can be very cold, as the air-conditioning is full-on! So it’s still a good idea to have a jacket, cardigan, or pashmina to keep the chill at bay. Women from Lebanon, Syria, and Jordan tend to be very glamorous and body-conscious. They appear to only wear designer items (or at least items that look designer)! They favor fitted clothes, high heels, lots of jewelry and accessories, and always seem to be in full makeup with their hair done–an impossible feat for other mere mortals. Then you have what is sometimes referred to as “Jumeirah Janes” (UK/Western women who live in Jumeirah). The stereotype is that they are housewives who spend their days running after their kids, but also having coffee and manicures while the kids are at school. They tend to dress more practically, with only a touch of glamour, like a nice bag or jewelry. The Indian or sub-continental ladies wear both western and colorful Indian dress. Please respect the local culture when creating your Dubai packing list. Westerners are advised and know they should be dressed modestly; however, they often wear whatever they like despite the conservative nature of the region. Avoid short shorts, tank tops, bikinis, and cleavage in public. As someone who has lived in Dubai since 1988, I have respect for the dress code and am shocked at such blatant disregard. If you are at home or at the beach and then decide to go out to a public area, it is advisable to change into respectful clothing. For ideas on how to dress for conservative countries, read this. Learn more about the traditional culture in the UAE! When in the Middle East, Dubai is the most luxurious destination to stay and shop. Extravagance at its finest for both travelers, expats, and the local businessmen that live in this thriving city. If you plan to shop, keep your Dubai packing list light! This country is filled with various malls such as Villa Moda, perfect for shoppers looking for branded and quality items to indulge in. Dubai is also the home of the Mall of Emirates, the largest shopping mall in the Middle East spanning over 6 million sq. ft. This mammoth of a mall is the perfect spot to shop your heart out on your luxury holiday. To make your shopping trip really luxurious you can stay at the Kempinski Hotel Mall of the Emirates and have all the shopping right on your doorstep. Along with the country’s best stores is the Egyptian inspired Wafi Shopping Mall, where you can discover designer fashions such as Prada, YSL, Gucci and Louis Vuitton. As more and more people have moved here, and as the tourists flood in, Dubai has become influenced by trends from cities all over the world. Every week, new designer brands and high street brands are becoming available, and world trends can be seen. As recently as 15 years ago, only a few brands were here, and people tended to do the majority of their annual shopping when traveling elsewhere. Consequently, most trends were not seen here–for example: piercings, tattoos, and bright hair colors were rare. This still applies today. These days, most luxury brands have several branches here. There are also multi-brand stores like Boutique 1, Saks Fifth Avenue, Bloomingdales, Gallerie Lafayette, and Harvey Nichols, to name but a few. 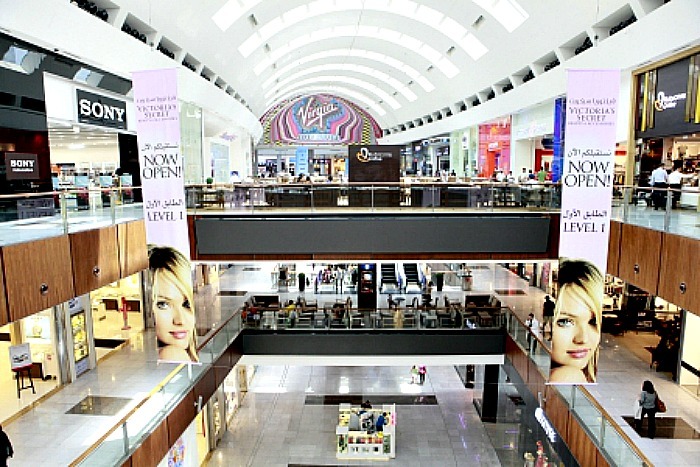 Shopping malls play a huge part in most people’s lives in Dubai. This is because they offer protection from the arid climate (which is endured for over six months of the year), as well as a range of activities apart from shopping. The malls have snow slopes, ice rinks, cinemas, theaters, food outlets, top international restaurants, aquariums, zoos, and kids’ entertainment of every kind! The new malls also offer the choice of top designer brands along with high street stores and stalls selling accessories and electronics. High street stores from all over the world cater to everyone’s tastes and requirements. Dubai is really a wonderful shopping and fashion destination. Do you have any tips to add for what to wear in Dubai? Please share below! 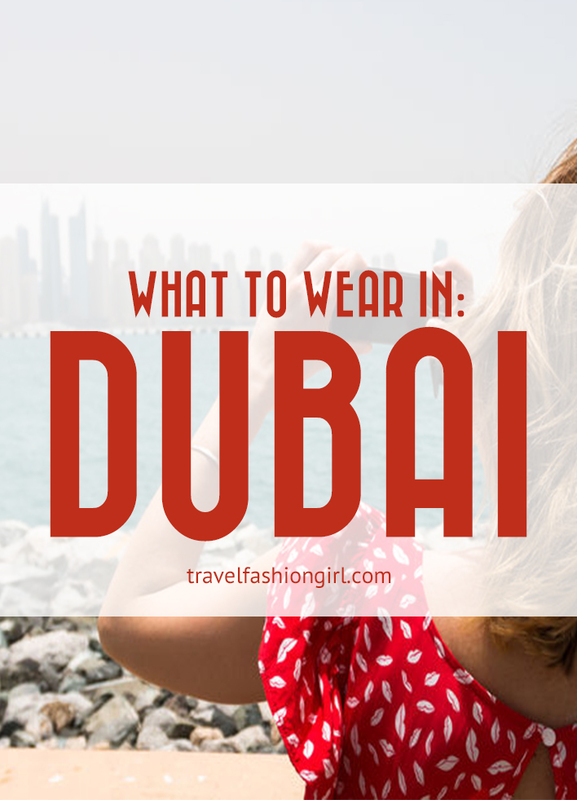 I hope you liked this post on what to wear in Dubai. Please share with your friends on Facebook, Twitter, and Pinterest. Thanks for reading! 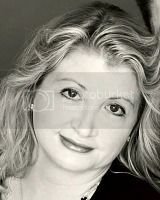 Author Bio: Originally from the UK, Georgina has lived in Dubai since 1988. She is married with two teenage children. Georgina attended the London College of Fashion in 1985 to study fashion retailing. She worked for John Lewis before moving to Dubai. She has always been interested in writing. Hi I am moving to Dubai in July 2018 and I was wondering if there are large woman’s sizes (18/20) available to purchase in malls , if so where . Thanks so much for your help ! Thanks for this great post! I am heading to Dubai with my family in two weeks and this is now my shopping list. Wonderful news Katherine!! Thanks so much for the note and for reading! Enjoy your trip!